Miners in underground tunnels and mine shafts at work in the Unipe Nikupe gold mine in June 2017. The work is exhausting and dangerous. Under the harsh sun on the side of a Congolese mountain, men and women dig rocks from a crude pit, crush them with hammers and wash them in a muddy river, searching for tiny flakes of gold. For this gruelling labour, the hardscrabble miners earn an average of just 94 cents (U.S.) a day. It's a long journey from these mountain shafts to a boutique jeweller in downtown Toronto, where the rough nuggets are transformed into engagement rings and wedding bands. But under a new Canadian ethical-trade program, the mine workers will have a chance at a higher income. And consumers will have precise proof – for the first time – that their gold jewellery is free from the taint of war or corruption. In late May, a passenger named Joanne Lebert carried an unusual item in her hand luggage on the lengthy flight from eastern Congo to Toronto. In a sealed bag inside a glass jar, she carried 238 grams of gold, purchased from small-scale mining sites near the remote town of Mambasa. Those 238 grams are believed to be the most rigorously documented export of small-scale gold in history. A thick dossier of dozens of export permits and tax receipts went with the gold, proving it was a fully legal sale, rather than a "conflict mineral" from a mine controlled by soldiers, armed militias or corrupt officials. "This can be revolutionary," says Ms. Lebert, executive director of Partnership Africa Canada, the Ottawa-based organization that is pioneering the new system of gold exports. "Nobody else is doing it. We can shake up the industry. And we think it can be applicable to almost any commodity: diamonds, timber or coffee." About 15 per cent of the world's gold supply is provided by the 30 million workers in the small-scale and artisanal mining industry. 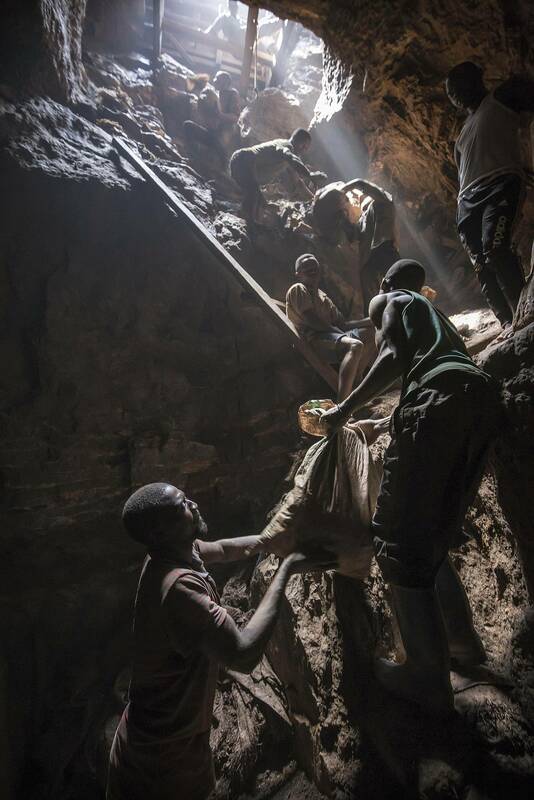 But these miners are routinely exploited and vulnerable, unable to get a fair price for their products, which are often labelled as conflict minerals because they originate in countries such as Congo where armed militias and corrupt soldiers are rampant. In eastern Congo, a stunning 98 per cent of the small-scale gold is smuggled out of the country without any taxes paid, according to United Nations estimates. Export documents proving gold was purchased through a fully legal sale. Skeptics have claimed it would be impossible to document the sources of small-scale gold, since the trade is so opaque, with countless unofficial or illicit steps in the journey, including big refineries that mix their gold from many different sources. But the 238-gram gold export from Congo to Toronto has proven it can be done – even though it required the payment of 26 separate taxes and fees along the way (15 per cent of the gold's $8,450 value), a complex and time-consuming burden that the project is trying to reduce. These pioneering gold exports will create a new form of highly detailed data, which can be marketed to refiners, exporters and retail customers, allowing greater ethical certainty for buyers and new potential revenue for the impoverished miners. The data can help legitimize the small-scale gold trade, allowing refiners and exporters to prove to regulators that they are providing benefits to mining communities. Ryan Taylor, co-founder of Fair Trade Jewellery Co., with jewellery made of ‘fair-trade gold’ from Congo. "We're moving into an era where there's a strategic opportunity in the proof," says Ryan Taylor, co-founder of Fair Trade Jewellery Co., the Toronto-based jeweller that purchased and refined the 238 grams of Congolese gold from the project's first export. "Consumers are asking more and more questions – they want it to be ethical," he says. "But they don't want just a logo or a branded sticker. The idea is to create a baseline of trust, based on the proof in the documentation." Under the new system, the data will be so detailed that a consumer or refiner would be able to identify the exact pit where the gold was produced, along with verified information on the pit's ownership and control, and even details of the individual miners who dug out the gold, all of which would prove that the gold was legally and responsibly sourced from conflict-free sites. At the mining site near Mambasa, a miner named Andre Santos Atombawa is selling two small nuggets of gold, weighing 1.52 grams, to a trader in a small wooden hut, who pays him about $40 for it. As part of the Canadian gold project, the buyer has a logbook in which he carefully records all of the trading details, from the names of the miners to the exact source of the gold and the price of the sale. The details from five mining sites are then entered into a computer, providing the data for the exports. "We trust the price here because it's transparent," Mr. Atombawa says. "The price is better than before." In the past, he had to haggle with buyers in the nearby town, where he was often cheated or had to accept lower prices. Under the new project, prices are fairer and the details are formally logged. "It makes things clearer," he said. For years, there has been growing pressure to regulate the minerals that are supplied to the consumer electronics industry from African regions where mines are often controlled by armed militias or soldiers. Early efforts have focused on minerals such as coltan and cassiterite, using a variety of auditing and tracing schemes. But those methods have been criticized as flawed, industry-controlled and too dependent on vague assurances. The new Canadian system for gold, the least-documented of the major conflict minerals, would create more precise and verified data for the first time. "I think we're at a breakthrough moment," Ms. Lebert said. "The gold refiners are desperate to show that they are cleaning up their supply chain. They want to show that they're having a positive impact. And we are the only game in town." About 15 per cent of the world’s gold supply is provided by the 30 million workers in the small-scale and artisanal mining industry. So far, the system has been financed by donors, including the Canadian government. But it could eventually be self-sustaining, since refiners and other buyers would be eager to pay for the data instead of doing their own expensive audits, Ms. Lebert says. The project is already helping the miners by ensuring that their gold is weighed with precise electronic scales, rather than crude traditional methods (often using coins or matchsticks to measure the weight) that are easily manipulated by the buyers. Traditional "leakage" has cost the miners as much as 45 per cent of the value of their gold. The project has reduced this to 11 per cent, Ms. Lebert says. There are other potential benefits for the miners, too. If the data system can bolster their bargaining power with refiners, they might be able to recover the valuable side-products, such as silver, from the impurities that are traditionally kept by the refiners after the refining process, Mr. Taylor said. So far, about 300 small-scale miners around the town of Mambasa are enrolled in the project, which also helps provide them with processing equipment and training in safe mining methods. They have produced more than nine kilograms of gold since the project began in late 2015, and Ms. Lebert believes they could potentially produce as much as eight kilograms a month. Jewellery made of ‘fair-trade gold’ from Congo. The project is able to document the gold from the mining site to the exporter. But it loses track of most of the gold after it is shipped to refiners abroad, so the next step is to secure an exporter that can ensure a fully certified supply chain. The goal is to show the gold industry that the verification system can work – and then to expand it into other regions of Africa. Many politicians are already pushing for this, seeing the project as a way to reduce corruption and gain tax revenue from unregulated sites. "Everyone is pressing us to scale up," Ms. Lebert says. "But this is almost like a laboratory, where we're trying to understand the process first." The Congolese experiment could eventually have global implications for the gold industry. In her meetings in this corner of Congo, Ms. Lebert brings an inspiring message to the local leaders. "You are truly pioneers," she tells them.